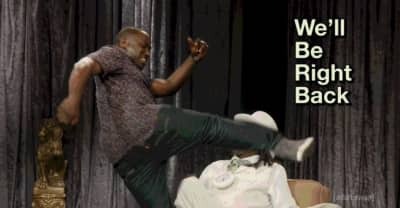 Public Enemy rapper Flava Flav is claiming he wasn't actually kicked in the face for The Eric Andre Show. Flavor Flav is the latest musical guest on the Eric Andre show. 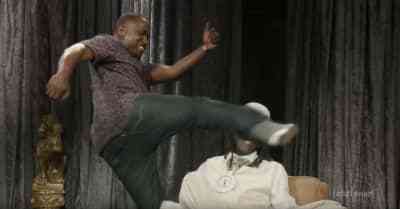 Watch him get kicked in the face by Hannibal Burress.